With France’s new Pacte law project, presented to the council of ministers in May, the government has signaled their intention to redefine the place of the company within society, compelling them to consider the social and environmental impact of their activity. This reform – a revolution some might say – will move the goalposts for entrepreneurs and looks set to worry some at Medef, a social partner. Getting the French public to see eye to eye with companies ‒ that’s a pipe-dream, right? The government begs to differ, and with their draft Pacte law (Plan d’action pour la croissance et la transformation des enterprises) they are seeking to entirely rethink the place of private companies in society. 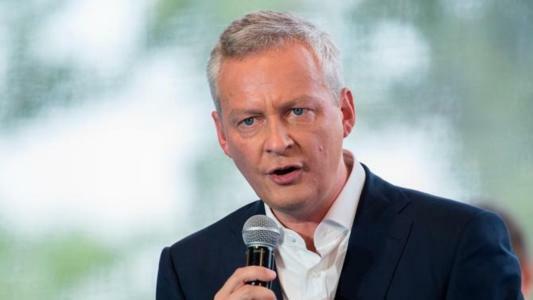 “Companies have an environmental and social dimension that does not stop at making profits,” stated France’s minister of the economy Bruno le Maire in March, upon receiving a report on companies and the collective interest co-written by head of Michelin, Jean-Dominique Senard and Vigeo president Nicole Notat. “We have asked them how to define in law what a company represents for millions of French people,” explained le Maire. Company heads, representative organisations, academics, legal professionals, investors, NGOs, elected officials etc…more than two hundred participated in this ambitious project. From the very first line, the tone of the report is brusque: “Maintaining the status quo is not an option.” The report makes a dozen recommendations. “We need spell out in law the social responsibility of companies.” But how? By adding a second paragraph to the Civil Code. Henceforth, it will not be legitimate for a company to merely “have a goal based on satisfying the interests of shareholders alone.” Companies must also, according to the recommendations of the report, “while managing their own interests, consider the environmental and social impact of their activity.” An ambitious project which, if it comes to be, could dramatically change the company’s place in society and infuse the business world with a new dynamic. “The measures we propose are symbolic and are designed to send a message to our country and beyond,” noted the Group President of Michelin, when presenting the report to the French national assembly in March. The project has been warmly received by workers and their unions. “We are in favor of a redrafting of the Civil Code,” commented the CFDT, a French trade union, which contributed to the report “this would satisfy a desire to have more meaningful work, which is often expressed by workers.” Because it aims to reconcile the market economy and the general interest, the law promises to “drag companies into the 21st century,” believes CFE-CGC, another union, which praised the advances the report recommends. Those organizations that represent employers, however, are more skeptical. And promoting the emergence of a new model of development will lead to workers playing a greater part in the running of their companies. The report also recommends increasing the representation of staff on the board of directors. “Staff have a shared responsibility for the company, just as shareholders do,” states the CFTC. “Which is why they must be allowed a say in the key decisions a company makes.” The CFDT, for their part reassure that giving workers a say in the decision making process “a sound practice which guarantees better cohesion.” A recommendation which, like the majority of those to figure in the report should be directly applied in the Pacte law project.